With more than 45 million views, Nike Football: The Last, an animated ad, shows star players like Cristiano Ronaldo, Wayne Rooney, Neymar, Zlatan Ibrahimovic and David Luiz, playing against clones. A fictional scientist plans out their every move based on calculations but the players believe that risks are everything. So the two teams face-off in a match to prove the scientist wrong and to show how passion is what makes football a beautiful sport. Volkswagon teams up with a cinema hall in Hong Kong to give theatre goers a jolt with Eyes on the Road. A clip comes on screen showing a car cruising down a road. Timed to be sent at exactly that time, a mass message is received by all with mobile phones. As the audience checks the message, the car on screen swerves off the road and crashes, to shock viewers into realising it was a social experiment to show the dangers of using mobile phones while driving. 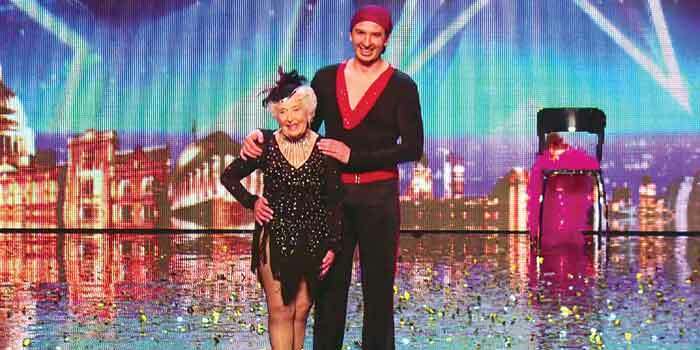 Paddy stunned judges Simon Cowell, Amanda Holden, Alesha Dixon and David Walliams when the 80-year-old showed off her brilliant salsa moves with dance partner Nico. She starts out with a slightly boring routine and Simon buzzes her out, but she picks up the tempo as she lifts, jumps, swivels and spins into the finals. This video (Spectacular Salsa a�� Paddy & Nico) captures the moment they first enter the show for auditions.